Just blowing some steam. 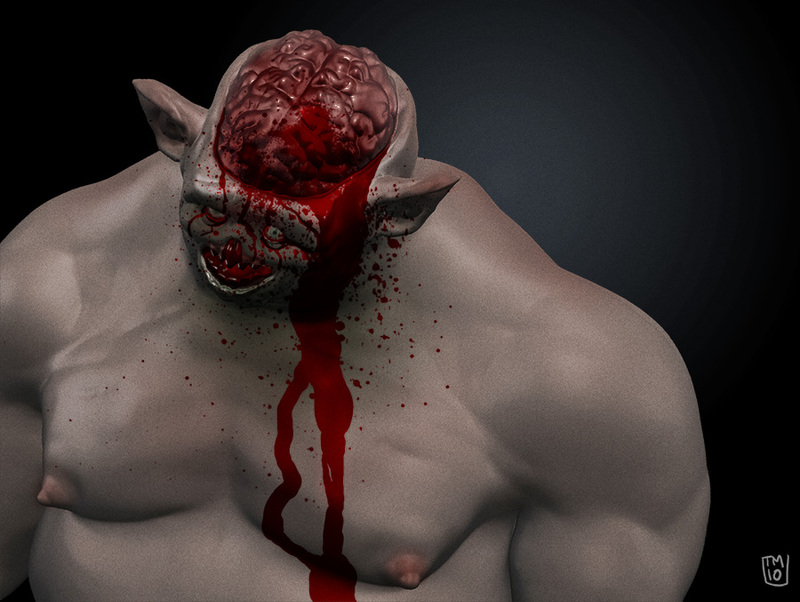 I’ve been playing around with an awesome, new, FREE 3D sculpting program Sculptris. 3D is kind of a guilty pleasure for me since what I do never seems to amount to anything worth showing because the end results are rarely anything artistically interesting. 3D has however helped me flex artistic muscles that I rarely use otherwise – and working with lighting, texturing and, now, sculpting has helped me gain a better understanding of how light works, for instance. So it’s not complete waste of time and it’s fun. This image is just a bunch of screengrabs from Sculptris combined in Photoshop with some post-processing to add shading, colors, texture and BLOOOOOOD. So no fancy rendering here. Posted in: 3D, monsters, nasty, zombies. I like this, do you use zbrush also? Not yet, but I might soon.